I’ve still got to blog about the little Halloween/Guy Fawkes get together we had at the weekend, I’ve just posted the recipe for Pumpkin Juice, and I have another drink recipe for you (a Crafty October Extra!) 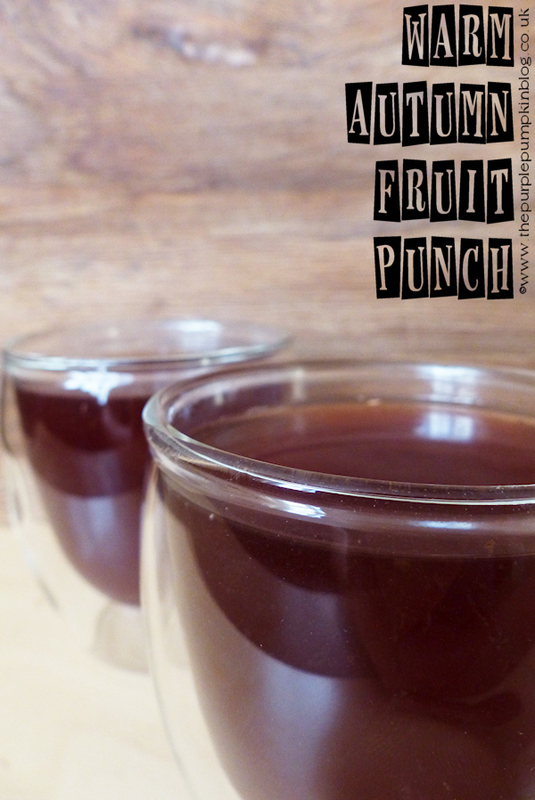 in the form of Warm Autumn Fruit Punch! I’ve been making this punch since about 1989 – it’s a tried and trusted recipe and more often than not gets made for Halloween or Bonfire Night parties in our house! Place the fruit juices, sugar, citrus zest and cinnamon sticks into a large saucepan and gently bring to the boil. Stirring to dissolve the sugar. Add the slices of orange, lemon and apple and serve warm.